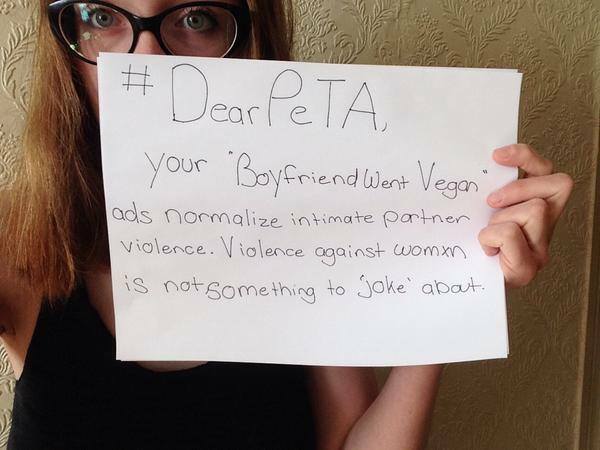 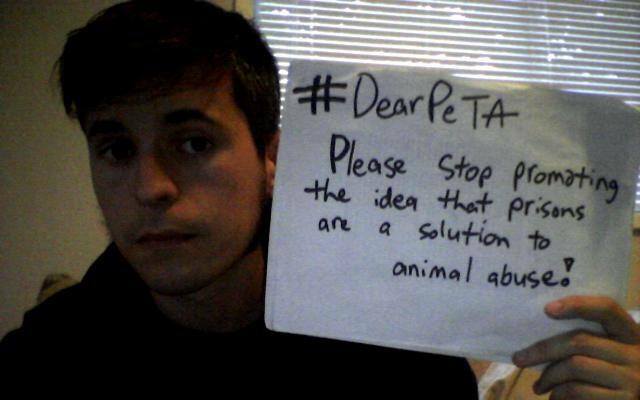 voicing our collective disagreement with the tactics and politics of PeTA and mainstream animal rights. 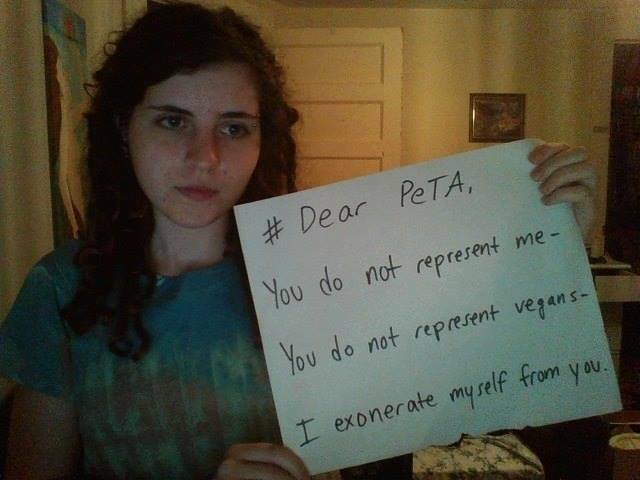 There are so many problems with the culture of animal rights (primarily because it thrives within terribly privileged communities), and similarly with the tactics & priorities of PeTA as an organization (essentially for promoting short-term “go vegan” campaigns that tokenize different peoples or issues for their elitist version of “rights” for animals). 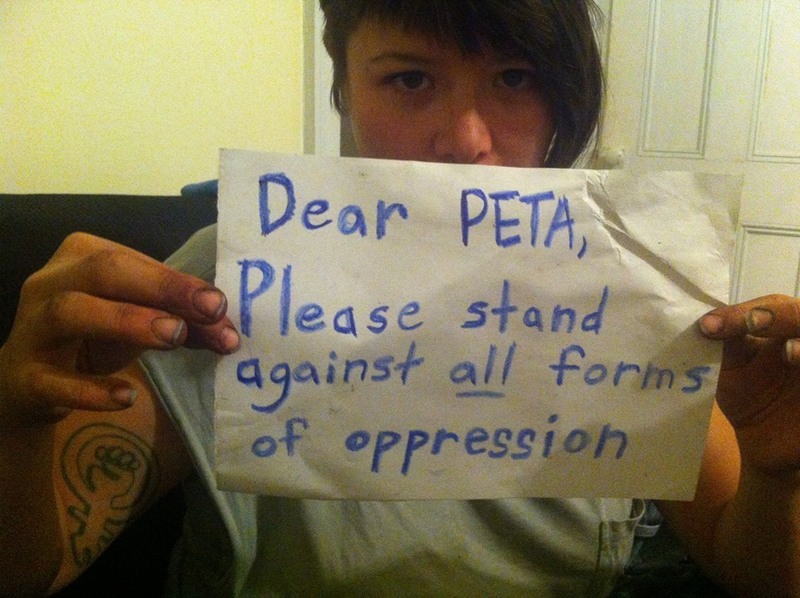 We can promote animal liberation without shaming and “othering” other communities, without tokenizing people and other problems, without attaching our efforts to privileged and oppressive politics. 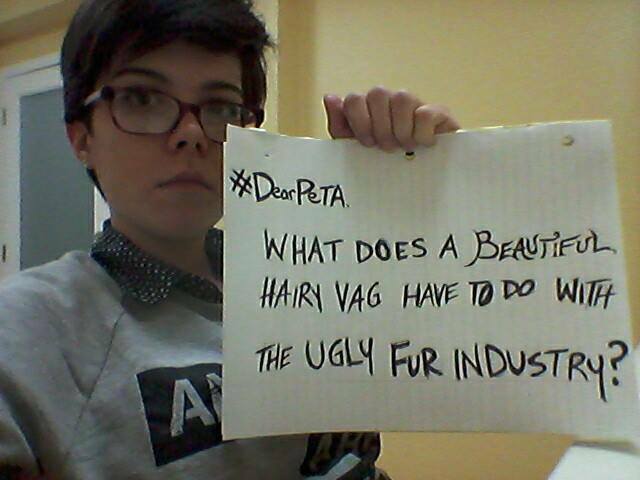 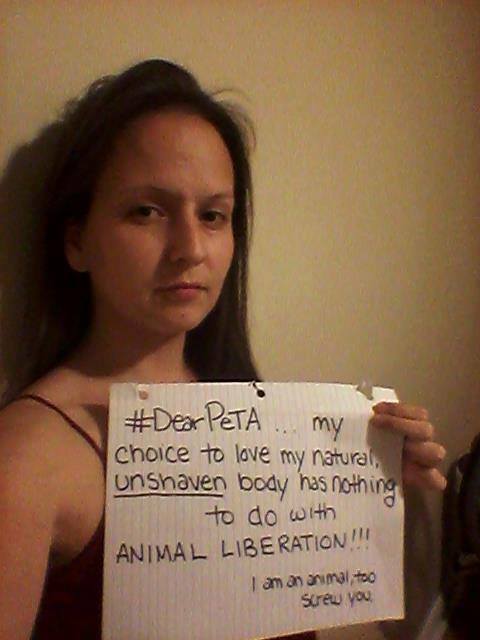 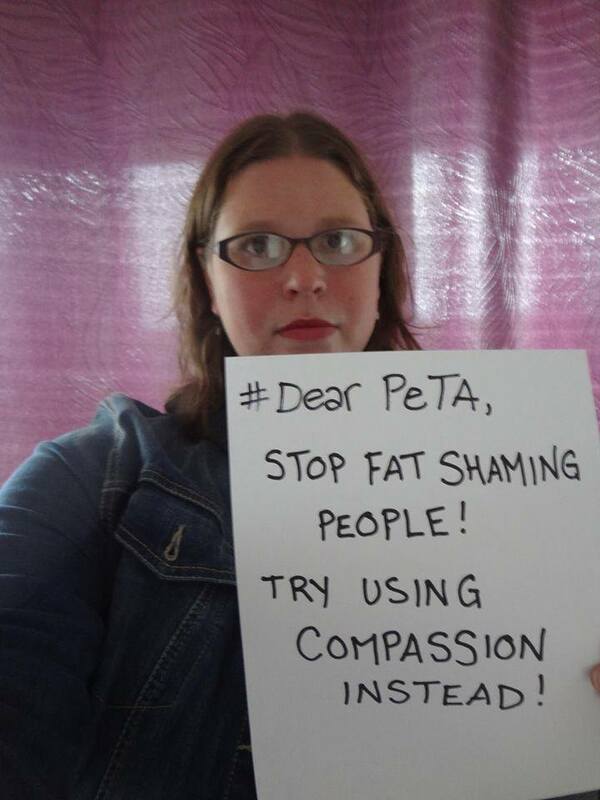 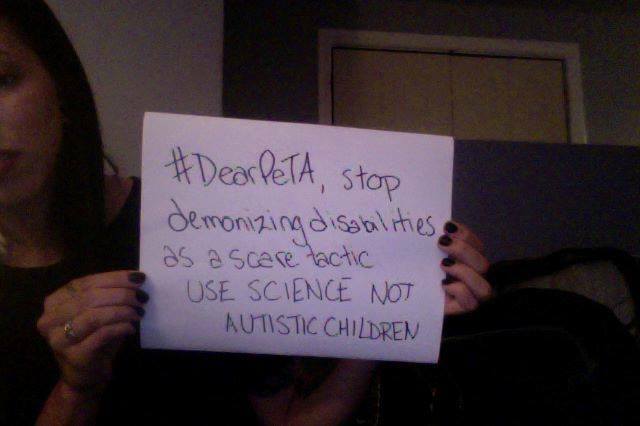 Post a picture of yourself, with a message beginning with #DearPeTA to voice your criticism of PeTA & mainstream animal rights and email it to us! 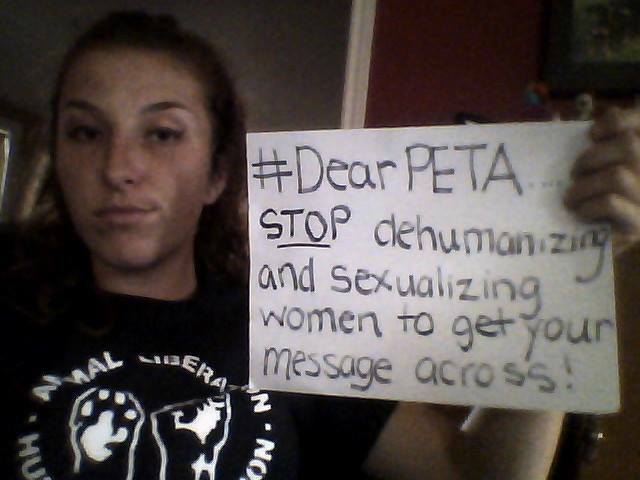 Make sure to tweet it at @earthlibkollect too! 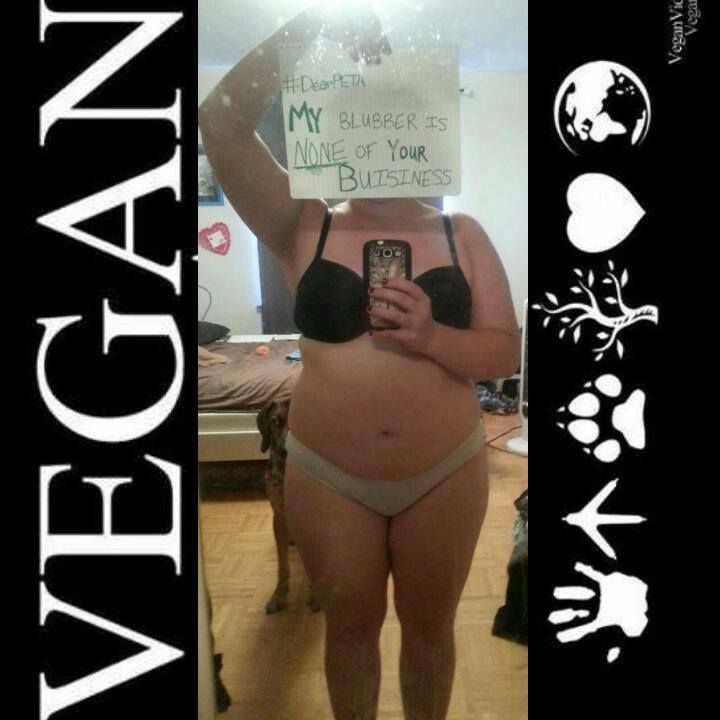 And tweet it at @earthlibkollect too!